How much money do doctors make from flu shots? What would readers think if I provided an admission in writing from a medical doctor as to a reason why the medical profession should consider administering flu vaccines? What would readers think if one of three reasons for doctors giving flu shots is “the financial health” of a medical practice? Giving influenza vaccine is also good for the financial health of your practice. That candid remark, made in writing, came from Richard Lander, MD, and was published in the article “Influenza vaccination makes sense for everyone” on Healio Pediatrics webpage about Infectious Diseases in Children. 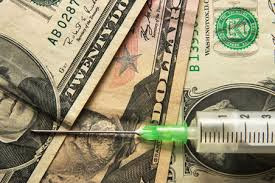 Readers will note that the article was published in January of 2013, plus there could be added financial rewards a year later due to vaccine price and medical service fees increases. 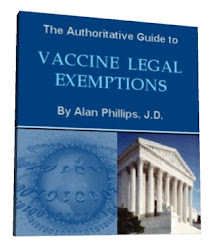 Guess how much the vaccine administration fee is? According to Dr. Lander, it should range from $14 to $30. So what were the real, actually reported, and counted flu-associated deaths for the 2011 flu season? You won’t believe the astounding number! I’m embarrassed to report it, since those downward revised CDC figures were totally wrong. How could that happen? I’ll let David Burd tell you. Does CDC think that influenza causes most P&I [pneumonia and influenza] deaths? So, what is the flu vaccination campaign all about? Could it be revenue-generation? Dr. Leigh Erin Connealy, MD, wrote “Flu Shot Side Effects,” which just may help readers understand some things about the flu (influenza) and flu shots. Dr. Connealy is the Medical Director of the Center for New Medicine in Orange County, California, and is the author of the Newport Natural Health Letter. Just look at the fierce competitiveness of pharmacies to provide you a “free” flu shot. There must be money in it somewhere! But what, you say? 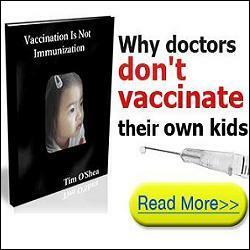 Doctors are making a profit from administering vaccines? But Dorkski and his and his drooling sycophants say that doctors make no profit from administering vaccines. They do it out of the goodness of their hearts. I’m shocked…shocked, I tell you! *Warning: This post contains sarcasm. While at the clinic with my two girls (2&3 yr old) Doctor asked.. Will they be getting the flu shot? I hesitate and smiled .. she says come on you dont want them to get sick. Where does your husband work? Do they go to daycare? All these questions(that usually scare people and thats why they end up saying YES!) 5seconds after just having a smirk on my face…I reply ..No, thank you. She said nothing . she knew I was one of those people who knows a bit more than the others that usually go in there and say YES! YES! She said nothing back. Its not that she cares about my kids wellbeing its just that she wanted that bonus or free trip to virgin islands who knows what the prize is this year!